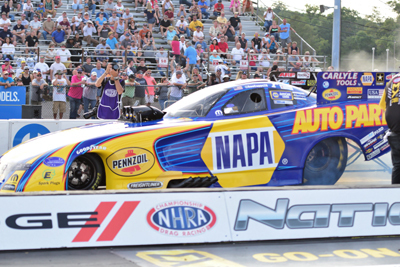 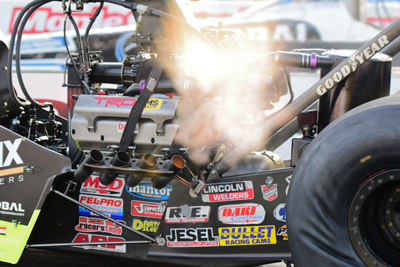 Check out the look in Matt Hagan's eyes when they lift the body after his burnout. 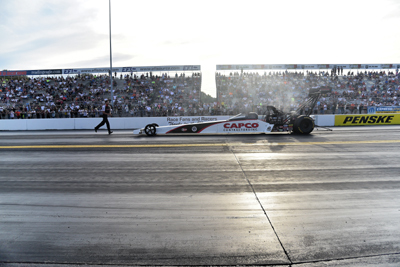 A couple of shots of Richie Crampton at full throttle. 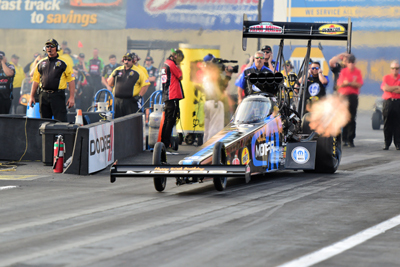 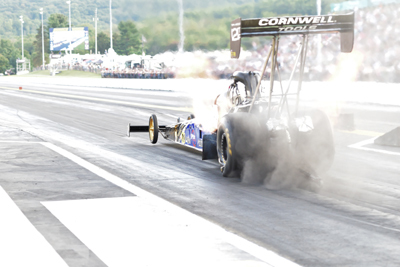 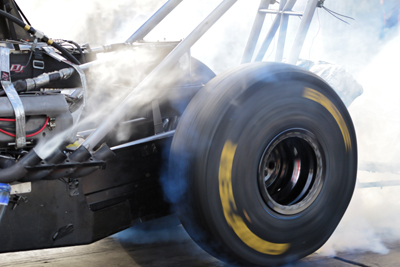 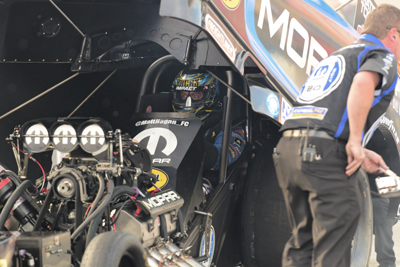 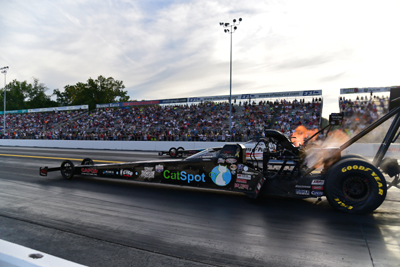 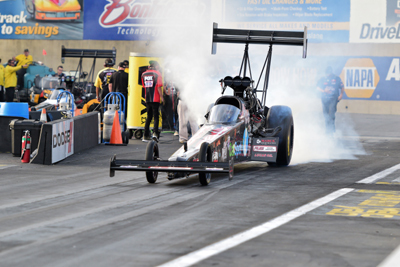 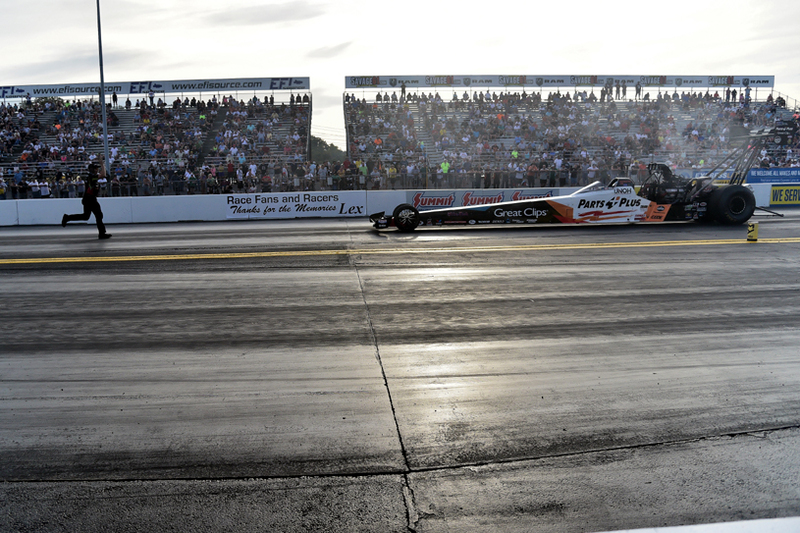 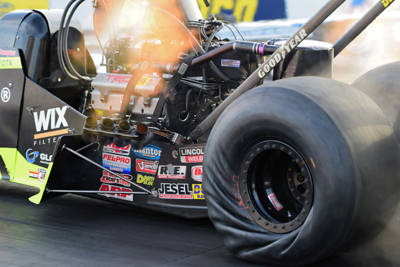 Clay Millican gets backed up. 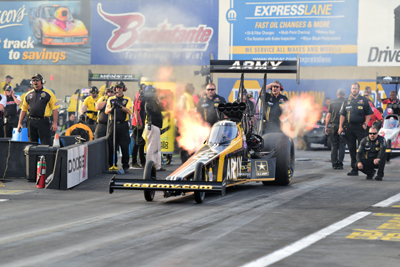 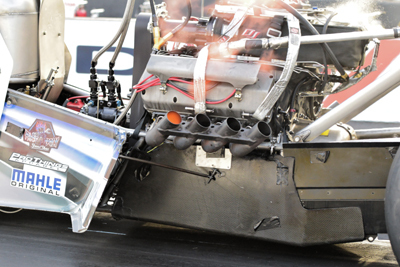 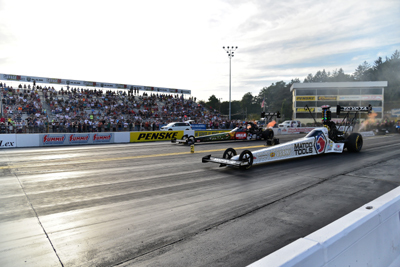 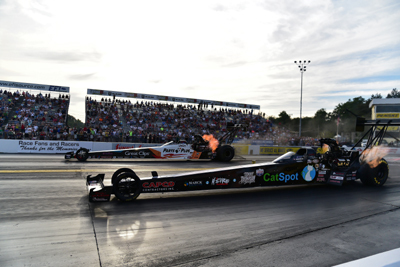 Antron Brown (near) and Terry McMillen.